We meet Andrea de Chirico, recent designer in residence at the Design Museum, who created Superlocal; a new highly localised form of production where objects become a direct representation of their immediate surroundings. 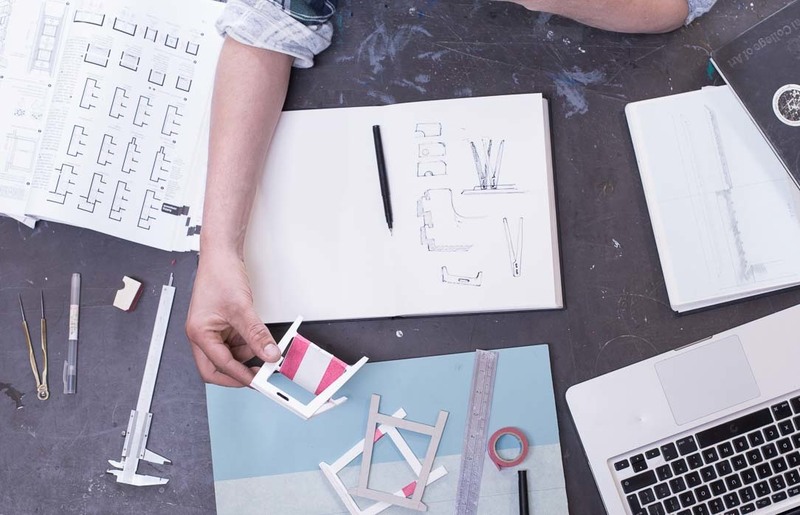 The Designers in Residence programme at the Design Museum exists to allow emerging designers time and space to think, research and develop their practice. The exhibit wrapped up last weekend, but if you didn’t make it along we’re here to give you a taste of what you may have missed. 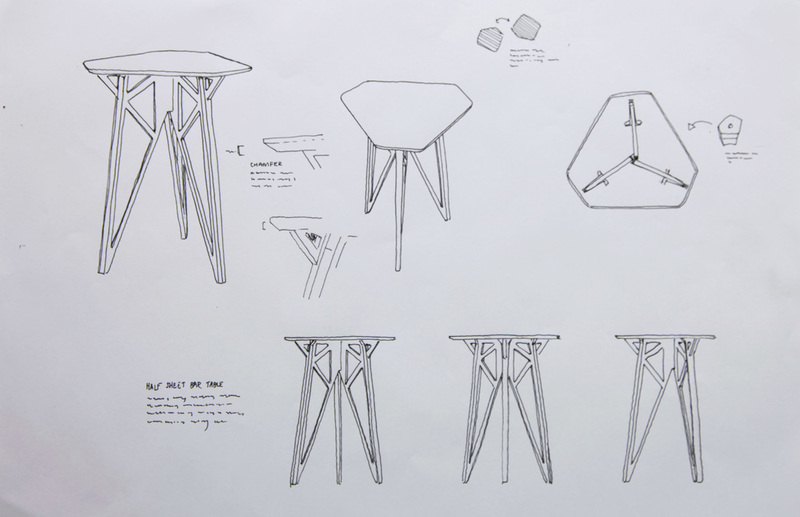 Andrea de Chirico, one of the featured designers, had his collection of 10 Opendesk Edie stools on display. Andrea is the founder of Superlocal, which believes the future of production is rooted in local design, sourcing and manufacturing - a concept so closely aligned to our own. 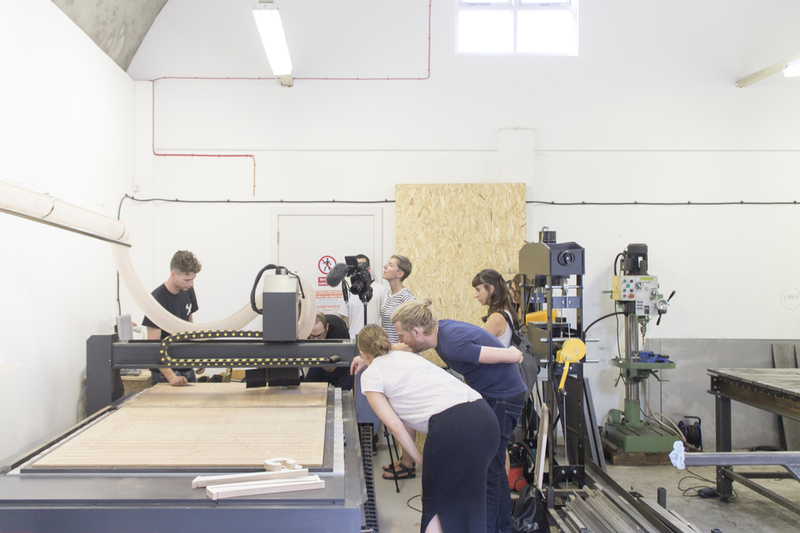 To spread the Superlocal vision, the organisation invites people to explore the world of local production via learning and making on organised tours. 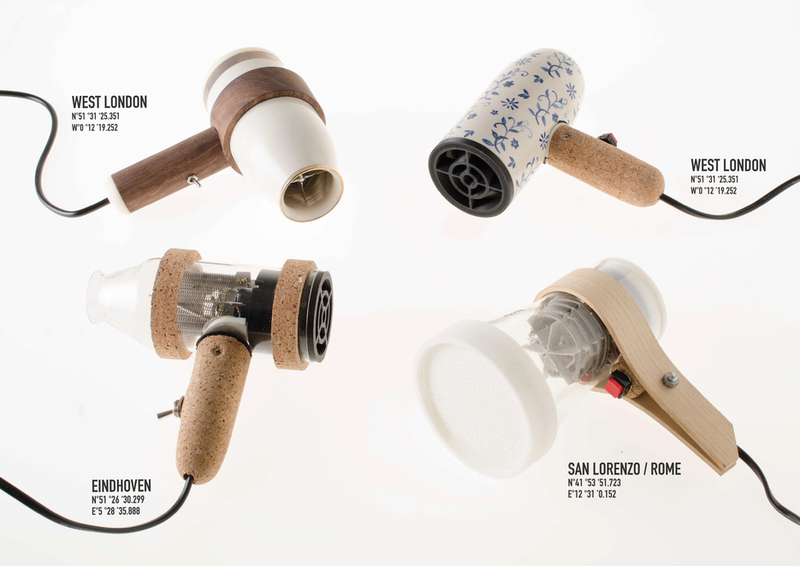 Andrea designs new production scenarios for common, often overlooked objects such as a hairdryer or stool. Each object is designed around the production capabilities of a place, which are rooted in a location’s identity and history, be it a manufacturing process or material. As a result, each object will be different and tailored to the unique circumstances of a city or town. Superlocal London will yield a very different result to Superlocal Bolzano. Beyond the practicalities of production, the tours create highly social production journeys. 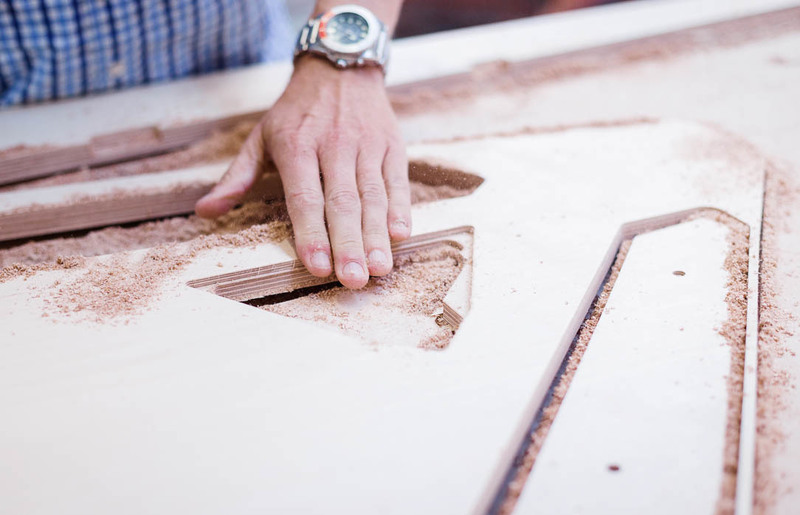 Manufacturers are appreciated as craftspeople with their own story and unique way of working. It’s clear highly localised production has environmental perks, taking only what it needs from resources is has available when it needs them. Powerful questions are also raised about the wider value of localisation and its impact on wealth distribution, skill development, and community building. Consumers become prosumers, their cities become resource banks, their garden sheds become factories. The first Superlocal tours ran in February 2016 in Eindhoven. 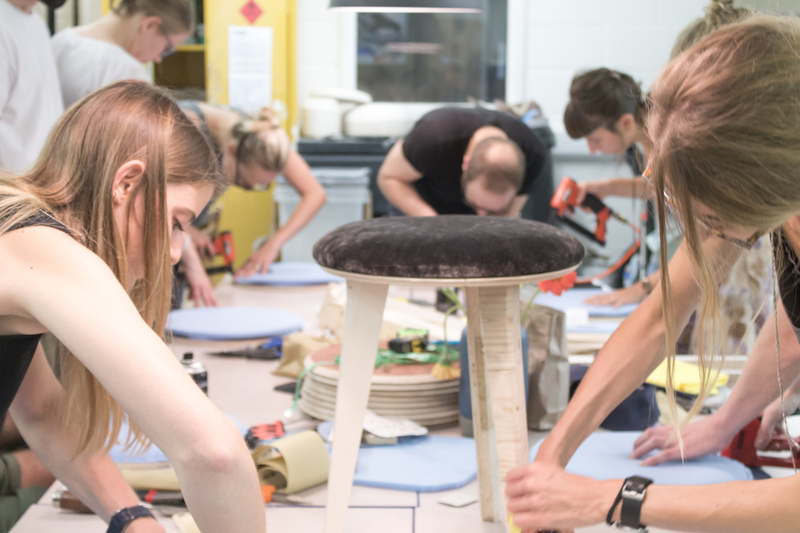 Participants were invited on production journeys for the first set of designs including Hairdryer and Stool & Table. The success of these tours caught the attention of the Design Museum and in May 2016 Andrea was invited to join the Designer in Residence programme. The most recent tours ran in West London with The Design Museum in September 2016 and February 2017. Further tours are planned in Bolzano (IT) and Genk (BE). 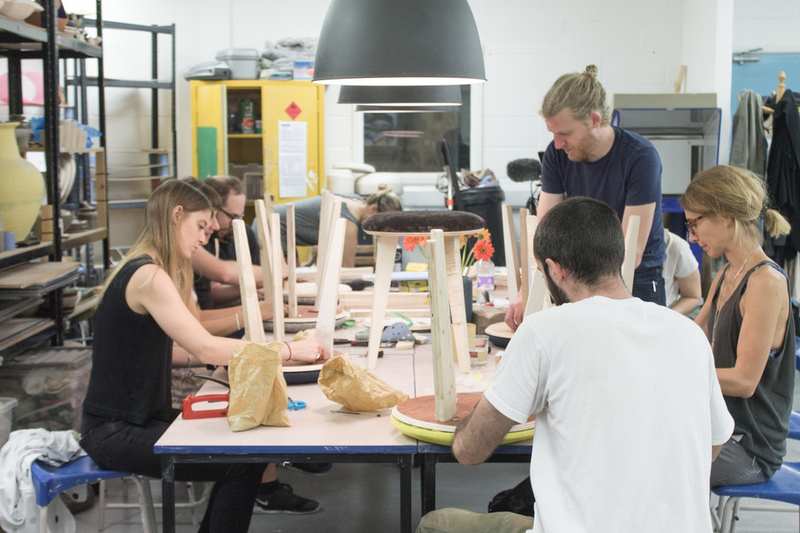 Working with Opendesk, Andrea created a stool, versioned from Joni Steiner’s original Edie stool design, which could be made using materials and processes found only in West London. On future tours, a new version of the Edie stool will be created, designed for different materials and manufacturing processes. A new version of the popular stool will be created for each tour, re-designed for its own very unique production journey. We had the pleasure of joining Andrea for his September 2016 tour. 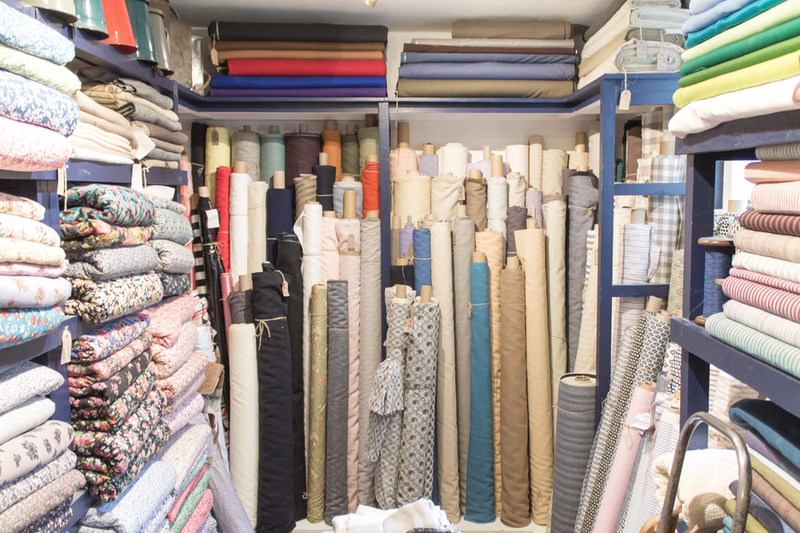 The West London tour commenced with a trip to local linen supplier- The Cloth Shop. It was here where the fabric was sourced that would later be used to upholster each stool. 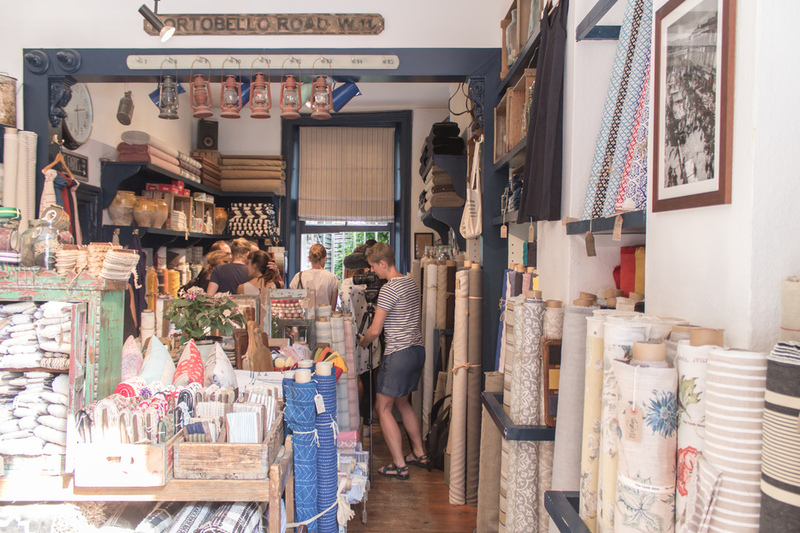 Tucked away on Portobello Road, this little fabric supplier is a hidden gem for the textile connoisseur. 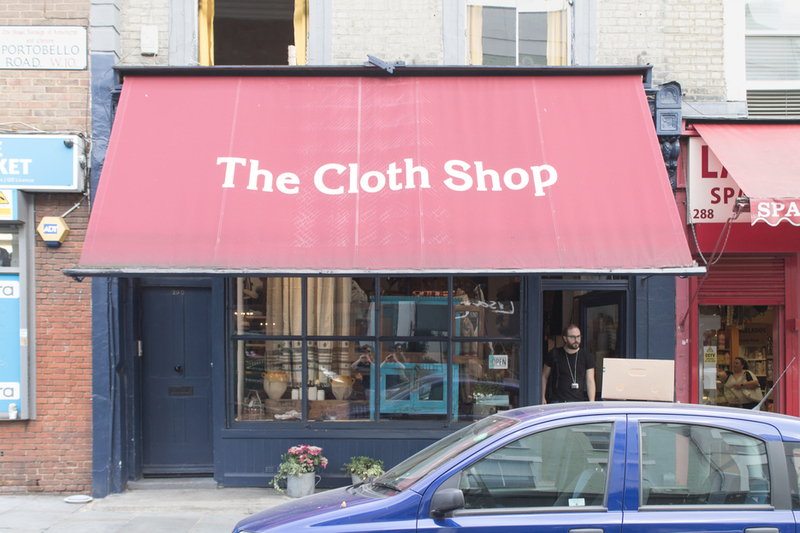 The cloth shop was first opened by Sam Harley in Soho in 1980. In 1992 the shop relocated to its new home on Portobello Road, West London where it can be found today. Their ideology has always been to only buy things they love - something immediately obvious upon entering. The shelves are stocked with an eclectic mix of beautiful antiques, linens and vintage quilts. The tour continued on its West London theme, moving onto The Goldfinger Factory, located on the ground floor of the iconic Trellic tower. With the help and support of hosts Marie and Keiran, It was here where the reclaimed plywood was sourced and cut into Edie stools. Goldfinger was, in the words of the song, ‘the man with the Midas touch’. 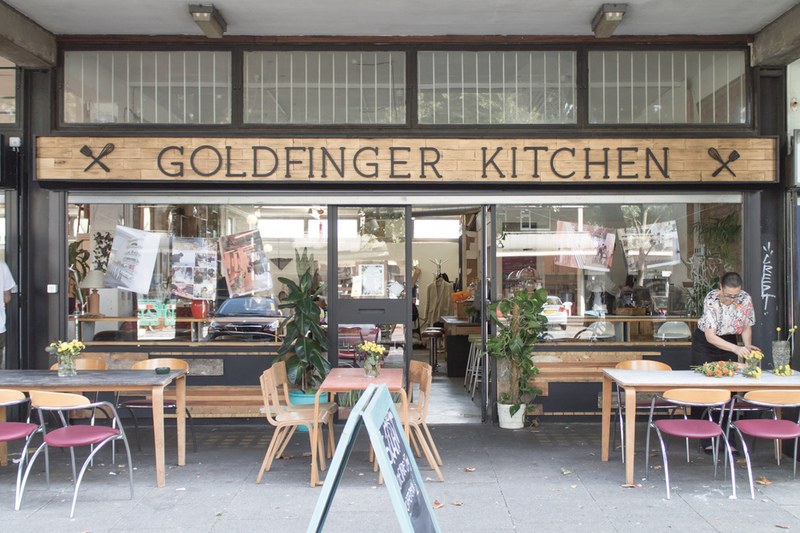 It’s an ambition The Goldfinger Factory can closely identify with in their mission to turn ‘Waste into Gold’. Goldfinger Factory empowers communities to transform lives through craftsmanship and design. 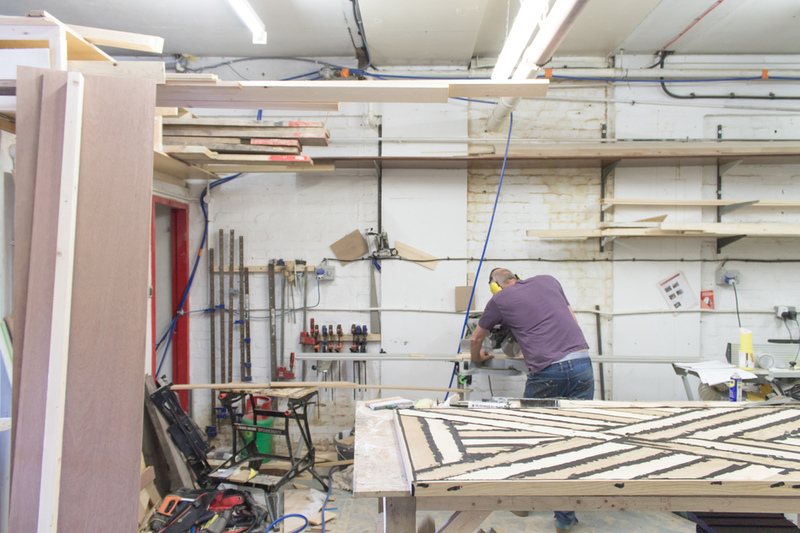 They provide skills training and assist people in gaining or returning to employment as well as offering designers, makers, and craftspeople a platform to develop and sell bespoke furniture and interiors. By providing designers and makers with a platform to grow, they turn human potential into gold. The grand finale took place in the inspiring creative space, Kindred Studios, with Sarah Hill. It was here where the reclaimed plywood and charming fabrics were transformed into 10 beautiful Edie Stools. Using basic upholstery techniques, each Edie Stool was given its unique West London flavour with beautiful linens from The Cloth Shop. It was these 10 stools that comprised the full collection on display during the Design Museum’s ‘Designer in Residence’ exhibition. 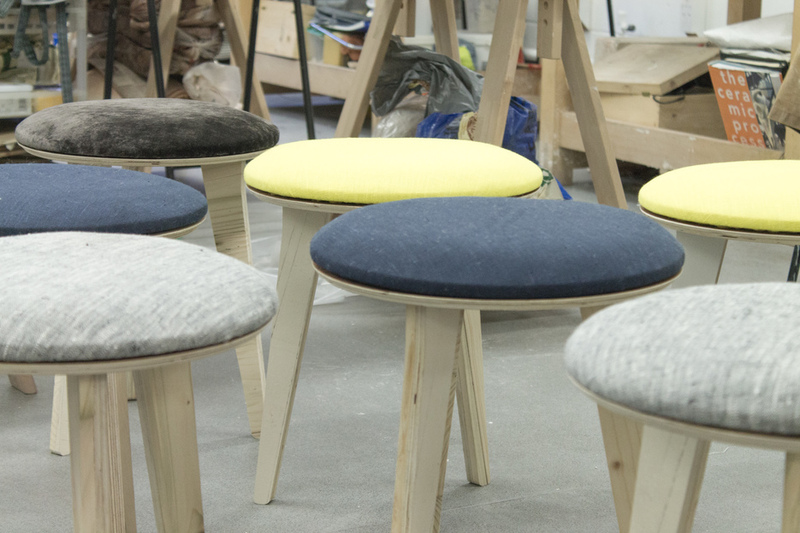 Another Superlocal tour is scheduled for May this year and will include the same Edie stool design, versioned once again for an entirely new set of processes and materials. Set in Genk, Belgium with a history of automotive manufacture founded by the long term tenancy of Ford, this tour will take on an entirely new journey and yield very different results. Don’t miss it! An object is more important for what it can become and how it can adapt than for what it is. Objects that are open source have this quality as they can be evolved by anyone, anywhere. 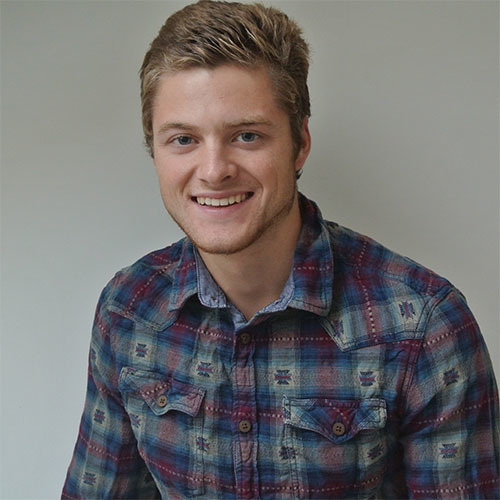 Opendesk: What inspired Superlocal and what makes you passionate about it? 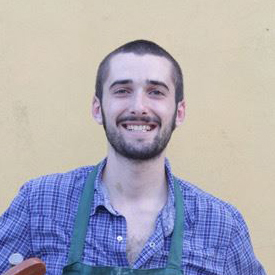 Andrea De Chirico: Superlocal is the framework in which I would like to work. As designers today, we have the great advantage of being able to redesign our own practice. So I designed mine! It gives me the chance to work in contexts which are always different and offer endless possibilities. Other than the tube and grey weather, what was unique about Superlocal West London? I think that Londoners have a pretty clear idea that the west is more residential and expensive when compared with the east, and therefore less suitable for this kind of project. Actually, the West is full of craftspeople, you just have to look! What are the social benefits of highly localised production? When we buy something, we don’t know where a product comes from, or who made it. Highly localised production cannot be applied to every object, but it certainly creates a stronger link between product and consumer. I’m not going to say every object should be made in this way or even suggest it is a better way, I just want to offer alternative ways of doing things! What are the benefits of working with an open source design that can be versioned over and over again? We live in a fast-changing world. I think that today, objects should be able to adapt to their context. I like to call this Darwinism applied to objects. Animals adapt to their environment. If they fail to adapt, they risk extinction. If objects can’t adapt, they will suffer the same fate. In essence, an object is more important for what it can become and how it can adapt than for what it is. Objects that are open source have this quality as they can be evolved by anyone, anywhere. Your next tour takes place in Genk, then where will you be? What does the Superlocal calendar look like? I hope to reach a point where a tour will take place once a month. We are going to organize more tours in the Netherlands and in France, but I won’t reveal much about them. I’m also planning to start publishing a Superlocal magazine this year! I’m sure 2017 will be a great year! A selection of our favourite designs from the recent call for submissions. Our third Open Archive release is a celebration of Open Design and the collaborative culture it instills.. Co-authoring the Half Sheet Bar Table.